This chapter analyzes the recognition rules of the International Organization for Standardization (ISO) and International Electrotechnical Commission (IEC) by the World Trade Organization (WTO) as an example of transnational relations. The ISO-IEC/WTO relationship is described from the analysis of the EC-Sardines and US-Tuna II cases, which have conflicting interpretations of the relationship between the rules of those institutions. 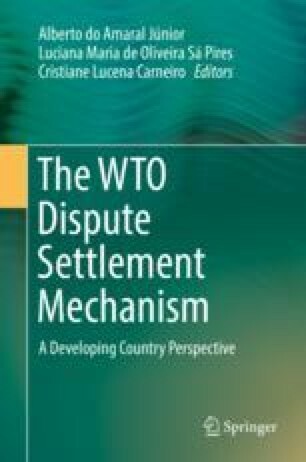 The way to establish such relationship can directly challenge the notions of representation and legitimacy of the decision-making process within the WTO, as argued in the chapter. The research benefited from the São Paulo Research Foundation grant “Projeto de Auxílio à Pesquisa FAPESP 2014/25776-4” and the institutional support of FGV Direito SP. Our thanks to Bruno Renzetti, Danielle Denny, and Bruno Pegorari, who contributed with comments to previous versions of the paper, as well as to participants to the WTO Chair meeting, in Brazil (FGV/SP). An enlarged version of the paper was previously published, in Portuguese, at Badin, M.; Takitani, M. (2016), pp. 192–210.